We can’t wait to join the ABF crew once again for a new spin on Oktober festivities. 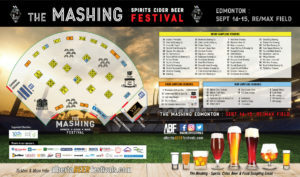 Albeerta and Last Best Brewing & Distilling will be a part of both The Mashing in Edmonton and Calgary this year. We’ll be hosting our booths in the wonderful showiness of the outdoors! 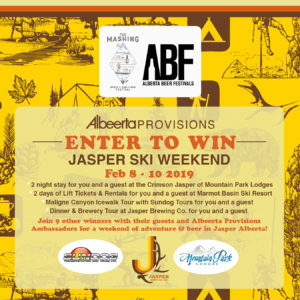 Stop by the Albeerta Provisions booth for your chance to win a Jasper Ski Getaway for you and a friend in February. Must be 18 years or older to enter, no purchase necessary. Visit Alberta Beer Festivals for tickets and more information.